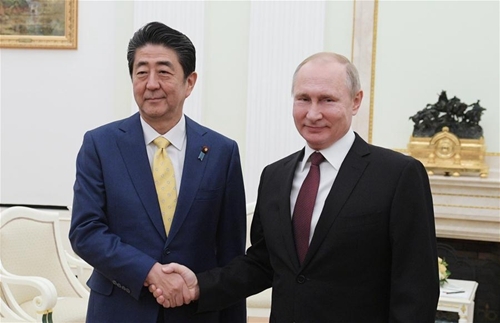 Russia and Japan have "meticulous work ahead" on creating conditions for reaching a peace treaty, President Vladimir Putin said Tuesday. He made the remarks at a joint news briefing after talks with Japanese Prime Minister Shinzo Abe in Moscow to mainly discuss the prospects of concluding a peace treaty. "We have once again confirmed our interest in signing this document ... The solution will have to be acceptable for the peoples of Russia and Japan," Putin told reporters. 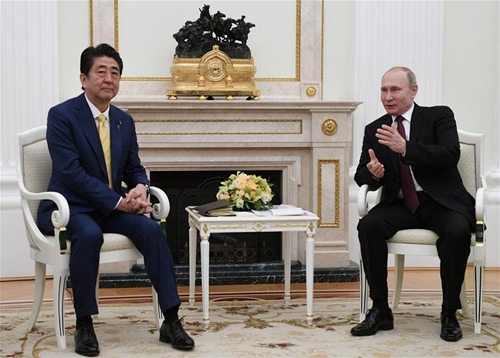 Abe said at the briefing that he and Putin discussed the peace treaty issue "without hiding anything from each other." "President Putin and I salute the start of concrete talks between our foreign ministers last week ... The discussions were frank and serious," he said. Abe said the two leaders agreed to continue joint work to look for a mutually acceptable solution. 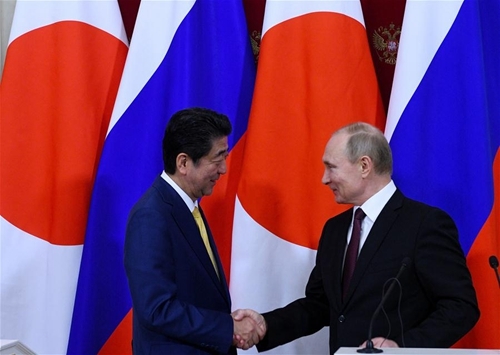 Russia and Japan have not signed a post-World War II peace treaty due to their rival claims over four Pacific islands, which are known as the Southern Kurils in Russia and the Northern Territories in Japan.